These have come up recently in a few online forums and groups, so now they are on my mind. A memorable take on the creature by the late, great Steve Zieser! Thouls are pretty well known among a certain segment of the old-school D&D crowd. 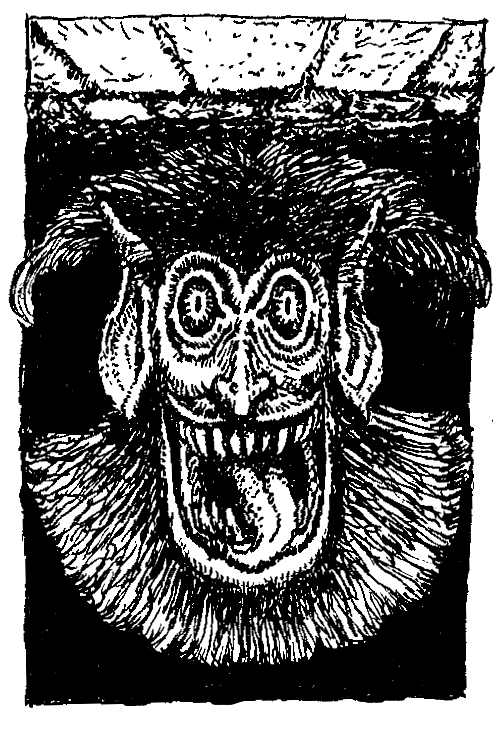 They are definitely one of the weirder creations within the BX books. The theory behind their creation that I subscribe to is that some DM was trying to fake their players out with something that looked like a normal humanoid, but had weird abilities. Despite the fact that they have an almost iconic status. I have rarely seen them used outside of a written encounter in the module B10: Night's Dark Terror. 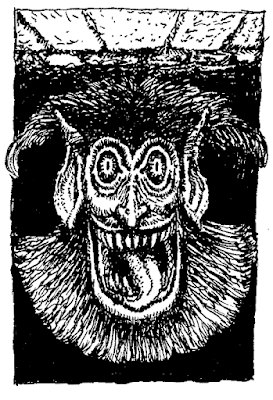 Thouls are described in Moldvay as "a magical combination of a ghoul, a hobgoblin, and a troll." What this means in practice is that they look like a hobgoblin, but can paralyze you and they regenerate. They do appear as a level three wandering monster. With two potentially paralyzing attacks per round, 1d6+ of these creatures could give a low-level party a very bad time indeed. There are a couple of points to clarify, though. They do not look exactly like hobgoblins. At close range, there are visible differences. A party might be able to spot them and prepare accordingly (or flee!). Despite "ghoulish traits", they are not undead. This means that while a cleric's turning power is useless. Sleep or Charm spells can work. Their regeneration is only 1hp/round. While it is (apparently) not stopped by fire or acid damage, it will not revive a killed thoul. I imagine thouls as a sort of sub-race to the hobgoblins. The description says they might be found guarding a hobgoblin king. Perhaps they are viewed as useful freaks? Who knows? As a DM, I think I would likely use them mixed in with the normal hobbos, so as the PCs work their way through the foe, there are a few nasty surprises waiting in the mix. Even though a Sleep spell can work on them, if they are among a bunch of 1+1 HD hobgoblins, the lower HD critters will take the brunt of the spell's effect. Their regeneration also means a bit more book-keeping in running them, but adds tot he scariness of the encounter. 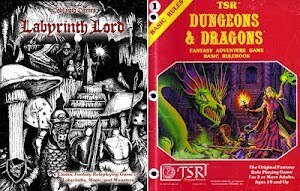 The Thoul is also found as a wandering monster in B4 - The Lost City and an encounter in the first level of the dungeon of the castle in B5 - Horror on the Hill. Interesting. I own, but haven't run or played, those two modules. B10 is the only one I've run that had a thoul encounter written into it. Moldvay Musings XVI, Part 2: Beat to Quarters!